Ahoy! Can I interest you in a bowl of soup, perchance? I finally re-made and wrote out the recipe for my spicy acorn squash bisque that I served at my dinner party the other night. This soup makes me want fuzzy slippers and frosted windowpanes. It makes me want to be at my grandparent’s house in Wisconsin. It makes me want to curl up with a good book all night long. It’s just that kind of soup….I think you’re gonna love it! First order of business. Get yourself a squash. I used acorn but you could really use any kind you like (butternut or kabocha would be great)….even pumpkin would be delicious. 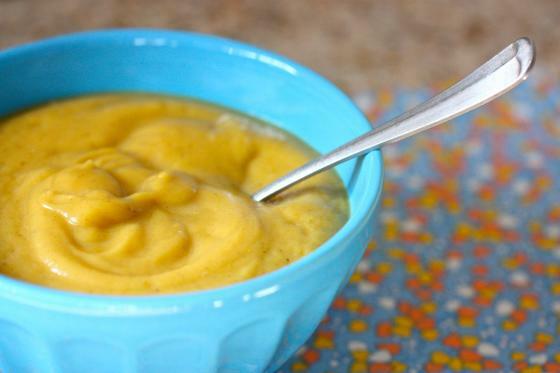 This is an extremely simple squash soup but incredibly comforting and tasty. I’ve made it twice in the past three days so that should tell you something right there. The brand of curry powder you use doesn’t make a lick of difference. Regular ol’ curry powder will do just fine. And a little cream is a beautiful thing. Promise. Now, hack that squash up into pieces and roast at 400 for about half an hour until it’s all tender and lovely. Peel the rind off (or don’t) and throw it into a VitaMix or food processor with about a cup and a half of chicken broth, a scant fourth cup of cream, a teaspoon and a half of curry powder and a pinch of salt. Ohhhh yeah. And you know the thing I love most about this little bisque? The opportunities really are endless! Like I said before, you could use a different type of squash or you could even up the curry powder and maybe throw in some noodles, cilantro and a sprinkle of red chili flakes. I don’t know about you, but that sounds pretty ridiculous to me. The amount of curry powder you use is up to you, depending on how much heat you can take. Since I’m battling a little sore throat over here, last night I threw in some cayenne as well, along with a little pinch of nutmeg for good measure. It was deeeeelicious. I can’t wait for you to try it, too! Slice squash and roast for about thirty minutes at 400 degrees, or until tender. Let cool then gently peel the peel away. 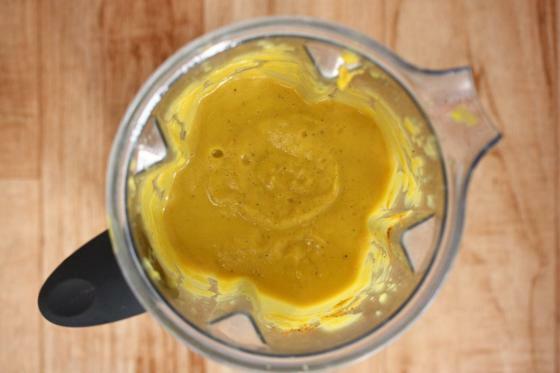 Throw the squash in a blender or food processor and add remaining ingredients, adjusting the amount of stock for how thick you want the soup to be. I promise warm scones when you return! 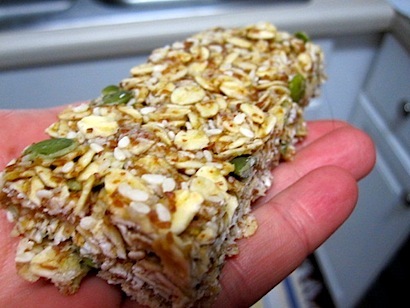 Oh, they’re yummy all right…and they only take fifteen minutes to make, start to finish. I will return. Must eat more soup. Paddle Out Recap + Pictures Galore! Smaller Portions Make Me Happy! I live on squash soup!! Seriously. You mentioned the WI winter…well in my case that’s not just hypothetical…cuz I actually happen to live in the land of frosty windowpanes…I believe I crunched my way across frosty grass the last few mornings…yeah, that happened! 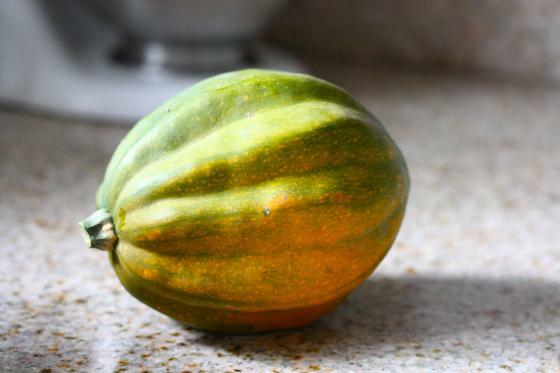 Just an FYI – when acorn squash is fully ripe, it’s almost entirely green on the outside and it is a darker orange inside. Pale yellow flesh means it’s not as ripe ad it could be, and less sweet. The soup looks great though!! this looks delicious! What would you suggest using for cream if I can’t have dairy? Would using regular ole almond milk be okay? This recipe sounds awesome – I think I’ll try it with my butternut…and maybe in place of cream (just cuz I don’t have any on hand)…I’ll go the plain Greek yog route. Wow this recipe looks delicious! I’ve heard you can throw in a roasted turnip for that same creaminess without actually using heavy cream. Simple soups are the best! You set the mood perfectly. Don’t know how I’m going to get through the day now since all I want are some slippers, a book, and a warm fire! For some reason.. im thinking i’ll throw in mushrooms to?!? i’ve been longing for squash soup!! is it cold in CA? Not too cold—although last night I woke up and had to shut my windows/turn off my fan because it was in the 40’s…I think today is going to be 80 though! I’m definitely making it this week! I have a small acorn squash and a small pumpkin from my CSA box that I need to use up. Do you take recipe requests? I just tried spaghetti squash last night and it’s f*cking amazing!!!! Do you have any recipes for it that are different from: scrape squash and add pasta sauce? Tastes awesome, but it would be cool to find another way to use it. Saw your comment and thought you might enjoy checking out Emily at Thefrontburnerblog.com She posted an amazing recipe for spaghetii squash the other night! Me and my Mister absaloutely loved it. A creamy mushroom sauce that just happens to be vegan to boot! Thanks for the suggestion Cathy! I checked out the blog/recipe and it looks awesome. I’m going to try using a Smitten Kitchen mushroom marsala sauce recipe that I love (because I don’t have nutritional yeast and I love real cream) on my leftover spaghetti squash in the fridge. : ) That was a good idea. That seems so incredibly easy to make. Step one: get a blender that will do more than come to a grinding halt. After that, I think I can handle this. Perfect!! I have a squash that is begging to be roasted and a sample of curry powder that is stinking up our cabinet 🙂 Sadly, I am without a Vitamix…a hand blender will have to do. a hand blender will definitely work! Ha I was already hungry then this!? You’re such an amazing cook, seriously! Mara @ What's For Dinner? Question for you: what lens are you using on your camera?? For my up close food photos, I’ve been using my Tamron Macro lens…for all other shots, just the zoom lens that my Canon Rebel came with. A little bit of cream is a beautiful thing, I agree wholeheartedly. I also think squash and curry are pretty beautiful too. I really do need a vitamix, don’t I? 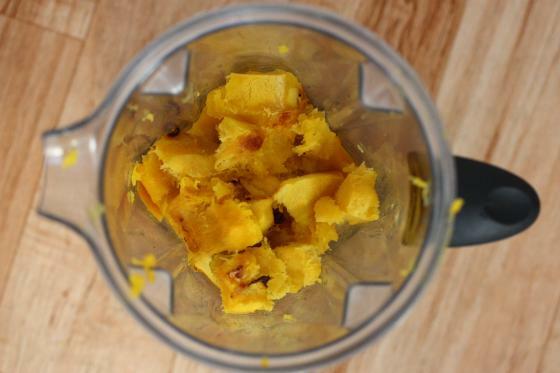 No—you can use a plain ol’ blender or food processor. Might have to try this. I’ve been looking for some good and simple fall soup recipes. Bisque of any kind is my favorite type of soup. I will definitely be trying this with the squashes I just bought! Ooh, I’ve had an acorn squash sitting on my counter for a week with no recipe in mind. This is definitely dinner tonight! YUM!!! This reminds me of my husand’s mom because every single Thanksgiving she makes a killer pumpkin soup. I’ve got a bit of a squash obsession going on too. I really like simple soups like this – I just made one that was almost identical to this (YES to curry powder and cream!) but I used some carrots too and threw in the last of my yellow squash so it was much lighter. Delicious, miss! Can’t wait to try the soup! I roasted my first butternut squash last week “with you,” and loved it! My family even tried it:) Liking the “heat” to add to the soup, too. Will be patiently waiting for the scone recipe! Oh yes….i have a butternut squash ready to use in this recipe! 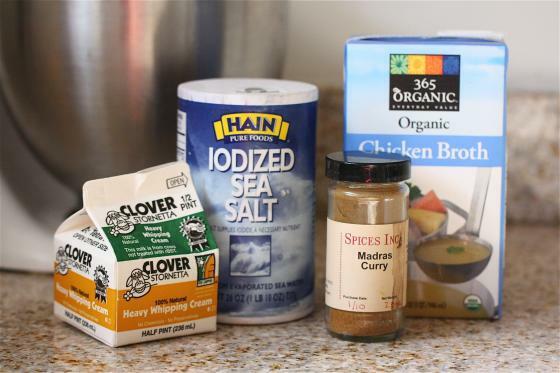 i just started experimenting with curry powder- this looks like another great way to use it! Just wondering if you are going to comment on the Marie Claire article. Just about every other food blogger has written about it and I was curious as to your thoughts since you are specifically mentionned in the article. I’m actually not going to post a public comment/rebuttal/post to the article. I think my blog speaks for itself in regards to the matter and don’t feel like I should have to verbally defend myself. People are going to talk, and that’s fine…but I think what I do here should speak for itself. I love that you’re not. Ignore it best. I hate that the other bloggers felt the need to. Thank you for handling this situation maturely and with dignity. I think your blog definitely speaks for itself. Anyone who has ever read eatliverun would know that you love food and your obsession with it is on the passion, baking, sharing, creative side not the restrictive negative side. Your recipes, experiences dining out, and attitude in general reflect nothing but a positive zest for food and life. I just thought that as a writer, you’d be writing about this since it’s getting so much attention. I love reading your blog Jenna! I now come for the recipes and great food that we see you eat…I think your blog has changed for the best. You don’t focus so much on exercise and everything you put in your mouth and that’s a breath of fresh air. Keep up the great work! Yum! Can’t wait to try this recipe! I love that since reading your blog, staples in my fridge include a) heavy whipping cream, and / or b) buttermilk! I am no longer trying to make every recipe low-fat or fat-free, I have embraced that sometimes real food needs real ingredients, and I tell you what – I am never looking back! I have made a very similar soup with butternut squash. The curry is so delicious with the squash!!! Instead of cream, I opted for light coconut milk and it was awesome! simple and amazing, and still healthy. I love it! That always happens to me and I find them everywhere all day after scooping out seeds! 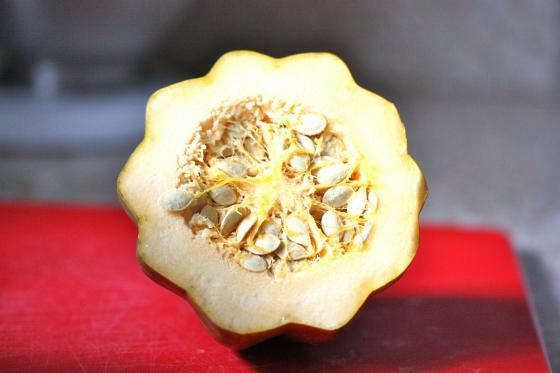 The seeds in acorn squash look a lot like pumpkin seeds. I wonder if you could roast and salt them like pumpkin seeds for a treat? Or are they not as plump as pumpkin seeds? 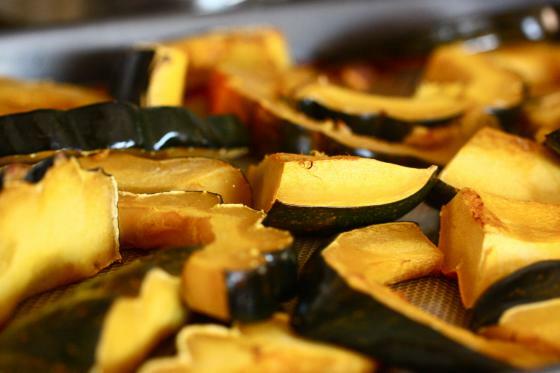 Hey AmyJoGo – I have roasted the seeds from butternut, buttercup, and acorn squashes before and they are lovely! Just like pumpkin seeds to my mind. Anywho… Jenna – now that I see you’re taking up the spaghetti squash recipe request above I have to lob out another challenge. What about the hubbard squashes? Can these poor, lumpy, homely giants get no lovin’? I have one about the size of a small toddler sitting in my house right now from my dad’s garden. I’m planning to break it up and roast it, but I’m thinking I’ll have enough squash to freeze in batches and make about a dozen meals. I’m definitely planning a squash and apple soup (like your bisque). I’ll probably eat some straight up. I’ll also make a red lentil soup I usually do with pumpkin but think would work with squash instead. And I’ll likely use some in place of pumpkin for things like Pumpkin Chocolate Chip Cookies (hello lover…) and maybe a Squash Instead of Pumpkin Pie. But there will porbbaly still be more left! Can you lend a girl a hand with a massive hubbard? i have acorn squash cming out of my ears! this recipe sounds perfect. It looks so thick and delicious! And oatmeal scones?! I’m on the edge of my seat! Your recipes and pictures ALMOST have me convinced to try squash yet again. I really want to like soup (especially this recipe! ), but I hate drinking my meals! love the selfportrait that’s in focus w your dSLR!!! Rocks! i love acorn squash! definitely my favorite winter squash…although i have never had kombucha 🙂 that soup sounds amazing…….nothing beats a cold day with a warm cup of creamy, smoothe soup! Just made this with frozen cubed butternut squash! I added some sauteed onions and only had almond milk on hand instead of cream. 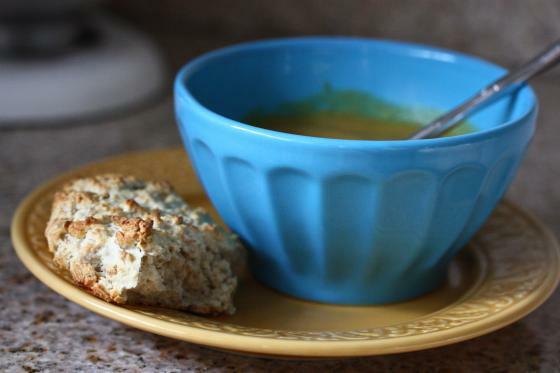 such a great quick fix soup recipe! you rock jenna! PS really digging the new blog direction! Just made this and it’s divine! I drizzled two squashes (one acorn, one carnival) with coconut oil, cayenne and cinnamon before roasting and then I peeled and proceeded as suggested. I did add a little extra ground ginger and cardamom for some kick and I honestly think this might be one of the best soups I’ve ever made. Thanks so much! I intended to create you one very small remark to thank you very much the moment again about the beautiful solutions you’ve featured on this page. It’s quite unbelievably open-handed with people like you to allow extensively precisely what some people could have offered for sale for an ebook to earn some money for themselves, mostly given that you might have done it in the event you decided. These concepts additionally worked like the great way to recognize that most people have a similar interest like my personal own to find out very much more concerning this issue. I think there are a lot more pleasant situations up front for many who check out your blog. I just made this soup last night. I used one acorn and one butternut squash. It was great. I used my vitamix to heat it up and the product was a very light and airy soup. It was divine. I am writing this as I eat the left overs for lunch. I also had some left over diced chicken on the side. I preferred it without the chicken but the kids loved it with. Thanks you so much for your wonderful creation. I’m so excited to have found your blog! I’m a new owner of a vitamix & I’m constantly looking for healthy recipes to make in it. 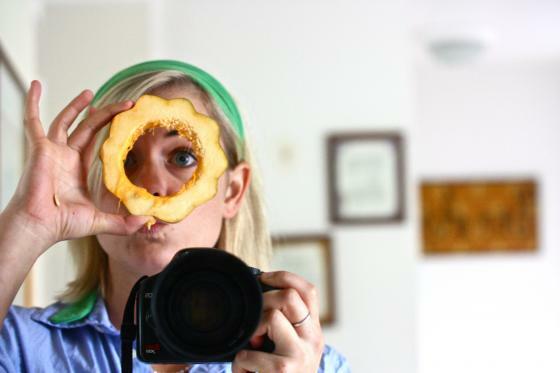 The other day I attempted to make this with a buttercup squash from my mum’s garden. I made a smoothie this morning & worked. So I’m planning to attempt your Spicy Acorn Bisque again today. Just curious how many cups of Acorn you would have used? Or anyone else who made this recipe using a vitamix! I know this post is a few years old, but I had it bookmarked (hidden in a wrong folder!) and finally just made it… it’s delicious! Loved the simplicity! I added the cayenne and nutmeg because it’s so cold out today where I am. So good! Thanks! !